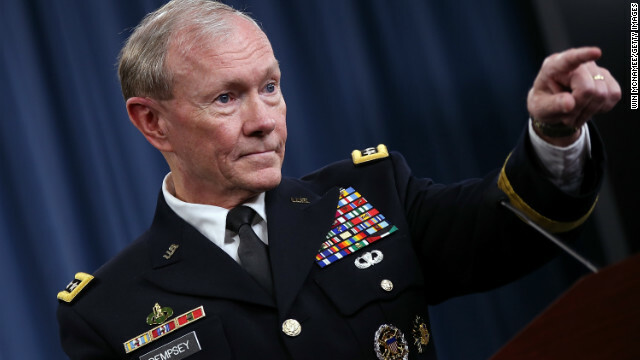 He's now Martin Dempsey, chairman of the Joint Chiefs of Staff. In grad school? He studied literature -- W. B. Yeats, to be exact. Editor’s note: Michael Bérubé is the Edwin Erle Sparks Professor and director of the Institute for the Arts and Humanities at Pennsylvania State University, and the 2012 president of the Modern Language Association. 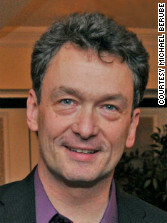 (CNN) - Almost every college student who considers majoring in English - or French, or philosophy, or art history - inevitably hears the question: "What in the world are you going to do with that?" The question can come from worried parents, perplexed relatives, or derisive, incredulous peers, but it always implies that degrees in the humanities are “boutique” degrees, nice ornaments that serve no practical purpose in the real world. After all, who needs another 50-page honors project on the poetry of Charles Baudelaire? Well, strange as it may sound, if you’re an employer who needs smart, creative workers, a 50-page honors project on a 19th century French poet might be just the thing you want to see from one of your job applicants. Not because you’re going to ask him or her to interpret any poetry on the job, but because you may be asking him or her, at some point, to deal with complex material that requires intense concentration - and to write a persuasive account of what it all means. And you may find that the humanities major with extensive college experience in dealing with complex material handles the challenge better - more comprehensively, more imaginatively - than the business or finance major who assumed that her degree was all she needed to earn a place in your company. We have plenty of anecdotal evidence for the value of the humanities. Over 25 years of teaching, I’ve had many students tell me - sometimes five, 10, 20 years after they graduated - that their English major gave them the intellectual skills they needed in their careers, while introducing them to some of the most challenging and delightful works ever written in our language. At the Modern Language Association, any one of our almost 30,000 members can say something similar. That’s why we’re such passionate advocates of study in the humanities. And as Richard Brodhead, president of Duke University, has pointed out, we can point to success stories like Martin Dempsey, chairman of the Joint Chiefs of Staff, or Harold Varmus, director of the National Cancer Institute, Nobel laureate and former director of the National Institutes of Health. Each of them earned a Master’s degree in English. Dempsey studied Joseph Conrad and William Butler Yeats; Varmus concentrated on Anglo-Saxon literature. In other words, they immersed themselves in dealing with complex material that requires intense concentration, and they honed their intellectual skills in so doing. It turns out that those skills are useful - and transferable - anywhere there is thinking to be done. That’s not a happy result by any measure - and it makes college sound like a waste of time and money. But when you break down the numbers, a funny thing happens: Students showed improvement in “critical thinking, complex reasoning, and writing skills” largely to the degree that their courses required them to read at least 40 pages a week and write at least 20 pages in a semester. The more reading and writing they did - serious reading, analytical writing - the more they learned. A remarkable finding! All right, it’s not really a remarkable finding. It’s precisely what you would expect - except that it’s precisely what everyone manages to forget every time they ask a humanities major, "What in the world are you going to do with that?" In Arum’s and Roksa’s findings, humanities majors scored quite well; business majors did not. Too many students (and their parents) think of college as the place that will grant them the degree they need to work at X job. The problem is, X job might not exist 10 or 20 years from now. Or X job might be transformed into something else, something that requires critical thinking, complex reasoning, and writing skills. When that happens, and it happens all the time, humanities majors find that their degrees were good investments after all - and that they are employable anywhere in the economy where there is thinking to be done. The opinions expressed are solely those of Michael Bérubé. I gained these abilities on my own. I was presented with such things at an early age, and I decided I liked what I saw. These abilities need to be developed from day one. If you expect to learn these skills in college, I dont hate to break it to you, you're sorely mislead and mistaken. Its alright to learn for interesting things. But only if they are practical and practicable. Otherwise your degree in grave-digging and basket-weaving will get you nowhere. Study many things. Not just one thing. I'm studying medicine with a double major in Business and Jewish Studies. Can you say the same? By the time I'm finished, I'll have an MD, PHD, FCS, JD, MBA, BA. Or maybe not. But I will have gained a solid education built around the arts, sciences, and humanities. I can generate essays, stories, poetry, critical analyses, work a computer, and heal your sickness. I can do anything and everything. But you'll be wasting your life. You keep selling your English, American History and Liberal Arts degrees long. In the meantime, more airlines will keep grounding brand-new American-made airliners, Europeans will continue to envelope and dominate the alternative energy industry, Asia will enact usury on the Federal Reserve and growth of the Gross National Product in the Latin American Third World will continue to exceed that of the United States. I just left China after living there for six years. The lack of liberal arts education there, coupled with the hyper-focus on rote-learning and math, has devastated the minds of Chinese people in ways you could only grasp if you live there long-term and work with the locals on a daily basis. It astounded me how robotic the thinking was and what a terribly difficult time even graduates of the "best" Chinese universities had solving problems in clear-headed ways, offering opinions, and recognizing the need for analysis–much less actually analyzing anything with originality and depth. This is all good news for me since my major is English and my minor is geology. So I have a grounding in both humanities and science. I hope that will translate into someone having confidence that I can both analyze and write about whatever I analyze. I heard that many science majors are turning to people in English to help them write papers on their subjects. I found this to be true during a semester tutoring in the Writing Center. Almost every major on campus was sending students to us for the writing skills they had neglected during the intense concentration on their majors. I found that most grad students were intelligent about their subject but woefully lacking in communication skills. They knew what they knew, but did not know how to share their knowledge through a written overview or even a written synopsis. But with our writing skills, the English grad students could help them express their findings in a way that was meaningful. English rocks, just like geology rocks. In the 1960s, a majority of the CEOs of Fortune 500 companies had undergraduate English degrees. By the 1980s, engineering was the most prevalent undergrad degree. Though I stopped at the Masters, I was able to make a better living than most of my grad school colleagues in English, partly because I had some knowledge of the sciences and economics, but largely because by teaching freshman comp and other writing courses for 8 years I mastered the art of the short essay, a skill valuable in any field and essential in many, not the least of which is engineering. Thank you for cheering me up! I got a BA in English, then an MA, then a PhD. So clearly I love to read and write and was/am to some degree good at it. However, I have to honestly admit that I wish I had double-majored with something in the sciences. There's something to be said about utilizing critical thinking skills in a praxis oriented atmosphere. I have an English degree, and this is spot-on. I owe my professional life to the “critical thinking, complex reasoning, and writing skills” I gained in college from my humanities education, as well as the humanities internship program that placed me in a terrifying marketing internship in an industry I knew nothing about. I am a BA major in English. English studies is one of the most difficult one could imagine. What is the medium of expression? English Language!..I know that because one can speak english do not mean he or she can write it. It is an art to be able to communicate by writing, and whether you are a Medical doctor, Scientist, or anything on planet Earth, English is the most widely used for book writing, drug presciption, weather forcast,or even classroom interaction, or teaching. English Studies is very important all over the world!!!. This selection was part of a textbook I used to teach from at Wichita State, Twenty Questions for the Writer. I'm an engineer, but I also have a degree in history. I do think that my time on the liberal arts/humanities side of the campus has helped me in my career. I don't necessarily think that an degree in English alone is very useful, but it is certainly not a complete waste. I think a bigger concern is the grade inflation that is rampant on the liberal arts/humanities side of campus. A 4.0 is English wasn't seen as very impressive at my university, but a 3.5 in engineering certainly was. Perhaps if they toned down the grade inflation, they'd start to earn more respect. I've read several excellent stuff here. Definitely worth bookmarking for revisiting. I wonder how much attempt you put to create any such magnificent informative web site. Let people be themselves. When learners engage themselves in what they love, simply for the sake of wanting to do everything there is to be done surrounding their passion, excellence follows. One problem in this debate is confusing technical, professional, and liberal arts humanities degrees. Traditionally, the degree of choice was Classics, followed by a professional education–Medicine, Law, Divinity–or the management of one's property, if one was wealthy. English was introduced for working class and women's colleges in the late 19th century (and, since then, Classics has fallen out of popularity). The point of getting a humanities degree was not to make oneself employable, but to broaden one's mind and prepare oneself for the rigors of professional school. "To prepare one for everything, and train one for nothing" is the the aim of a liberal arts humanities education, as one Haverford dean put it. Comparing humanities such as English and engineering, etc. is apples and oranges–although I have heard of English majors doing fine right out of the box, in technical writing, publishing, even as analysts (the market is, after all, an exciting story of desire played out on a global scale, offering fortunes to those who can decipher it). If you meet someone who went into English as an undergrad for the same reasons that you chose, say Business, then you are in your rights to question their decision making skills, but I doubt that you will come across many folks like that. Liberals with English degrees do not typically make productive or desirable employees. Let them work for the school systems, media, ad agencies, where they can spin spin spin. Of course the word "liberal" had to make it in there. What a spiteful, skewed, painful world you must live in. You probably don't own a business either (or at least one worth owning). My engineering degree from Purdue University in the 1970's required a certain number of courses in the humanities. I realized long ago that the skills of reflection, analysis, discourse and writing nurtured in the humanities sequence I selected have been those I have used and applied most in my engineering and construction management career. In our careers, we must assemble, build and nurture diverse teams to mutually solve physical challenges and implement long-term solutions. This requires awareness, encouragement and extracting the best ideas from teams of people with differences in background, opinions, and methods. I frequently inform customers and coworkers that our endeavors in Lean Construction are sociology and psychology, not construction. Also, the humanities study contributed to a lifetime of reading, which further develops insight and analysis skills. Very interesting article. I am currently studying towards a BS in Forensic Science, and this is after serving six years in the USAF (so I'm older than the average undergrad). My university requires a very well rounded regimen of various disciplines prior to starting one's major work. However, I pick up on a lacklustered mindset from my younger peers when approaching these ancillary courses, such as humanities (even if it is a cornerstone of their degree). The unfortunate nature of the beast is that we construct a society vested in creating "good workers", so specialized schools are made, and then we expect them to think outside the box, which we built. The truth of the matter is that employers choose the best candidate for the job, i.e. : an internal hire, the person who networked the best, the person with the best experience level, the most cost efficient candidate, the person who submitted their resume in the correct format, and the person who presented themselves well in the interview. Suffice it to say, the best decision when choosing a degree or specialty is choosing the degree that will serve you as well as you have served it. Presentation is everything! . Your project can have the greatest merit and your research and analysis impeccable, but if the proposal and executive summary are not superbly and convincingly written, your proposal will not get due consideration .Every important project I got approval for in business was due to persuasive written presentations of my research & analysisRemember: The purpose of college is not to get a job; it is to get an education! My major was Psychology and had a very successful career in banking. I would, and have hired English and History majors. It is much easier to teach someone banking and finance, than to teach them critical thinking and written expression of complex issues. Amen brother. But just to play the skeptic for a minute (I am a philosophy professor after all): I read this argument often: "Humanities deal with complex problems and critical thinking, the world is complex and needs critical thinking, therefore be a humanities major. (Oh, and Business majors don't do as well.)" But if non-humanities type problems in the workforce and life after college are complex enough to need prepared students, why do the topics/methods in the humanities have some monopoly on complexity and critical thinking while in college? The argument should seem to be: Make professional degrees deal with critical thinking and complexity analogous to, but not identical to, the work required in the humanities. I want to see a deeper analysis of how skills like literary analysis, philosophical analysis, or aesthetic analysis, maps onto the professional skills of navigating a corporate culture, workplace community, global economics, or disease diagnosis. I would hope that just about everything you study in college requires deep concentration and mastery of complex material. But concentrating deeply about Hawthorne and Hemingway and mastering the complexities of Edgar Allen Poe just isn't quite as impressive as mastering the complexities of engineering, science, medicine, law, economics or math is it? Actually, I would have to say that your perception of what is more important is what has derailed humanities. A true liberal arts education is one that gives you the opportunity to learn many different skill sets. As someone who earned a BA in Communication, I found that the skills I learned helped me find work in many different fields. In fact, I worked right along side engineers in the construction field, doing the same work as them, without the "specialized" degree. On certain terms, my liberal arts degree allowed me to excel because I was able to assist on tasks that they were not – namely contract reviews and professional correspondence. When it came to those tasks, all those engineers could not do what I could. So, while I understand that on the surface, the "complexities" of learning those fields are of merit, there are many underlying advantages to spending hours pouring over the works of Edgar Allen Poe or writing a 50-page thesis on interpersonal communication. It is all about perception and what a student takes from their experience. I majored in French and Education in undergraduate school. I intended to teach, and did teach. (I left after 5 years and got a graduate degree in an unrelated field.) A Liberal Arts education only marginally teaches any marketable skills. The skills one needs are almost always learned on the job. A liberal arts degree just proves that you are capable of learning, and capable of doing a little hard work. My children are earning degrees in engineering and speech pathology. They will have learned some skills peculiar to their fields, but they will learn most of what they need as they gain experience. The liberal arts degrees just need to be made more demanding, and they will earn more respect. When people drop out of the hard sciences or engineering, they go onto the liberal arts side of campus and typically do very well. That's pretty telling.